The spinal cord is essentially a bundle of nerves which connects the human body to the brain. The primary function of the spinal cord is to transmit signals between the two and a spinal cord injury usually interprets these signals. The causes of spinal cord injury are diverse and may include a severe trauma such as a car accident, fall from a height, back injury due while diving in a shallow pool or even a sudden and severe twist of the body or torso. Spinal cord injuries can be complete or incomplete, depending on the location and magnitude of the trauma. When complete, spinal cord injuries may result in total paralysis of all body movements below the level of trauma. On the contrary an incomplete spinal cord injury may well result in significantly decreased movement of limbs and muscles below the level of trauma. Thus it is scarcely surprising that spinal cord injury management is one of the more critical tasks that the medical fraternity may need to address. Spinal cord injuries are usually classified as critical medical emergencies and are best managed by immediate initiation of treatment. The treatment for spinal cord injuries are usually a mix of medicines, surgery, braces or traction. Spinal cord injury rehabilitation is evidently a challenge and with increasing survival rates after spinal cord injuries, it is becoming all the more important. While surgery is an aggressive modality of treatment, traction can stabilize the spine more conservatively in these conditions. When it comes to spinal cord injury rehabilitation, the most effective options include a cross functional approach between the physical and occupational therapists in consultation with a speech therapist, depending on the clinical presentation. Keeping the upper arms parallel to the spine and the elbow at 90 degrees with the hands resting flat on the table surface can help minimize the strain. In instances where a 90 degrees angle at the elbow is not possible adjusting the distance of the chair from the table can help. Concurrently ensure that the feet are resting flat on the floor while the thigh forms a 90 degrees angle with the lower leg. If unable to align, all that you would need to do is to adjust the height of the seat of your chair for that perfect position. 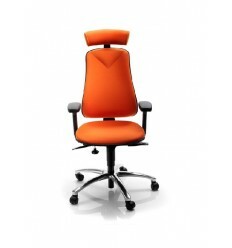 The chair fits you – The chair should be the right size for you whether your big, small or average size. One size does not fit all! 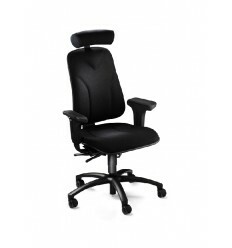 Once you choose the right chair it is important that all features are adjustable enough to support you in the neutral position. 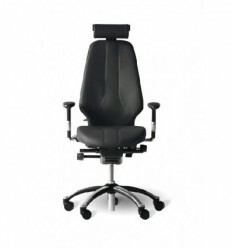 Armrests should be adjustable in height and width, ideally depth also. There must be a seat depth adjustment and seat height adjustment. If the chair is the wrong size, even with the best chair it will not be suitable for all users. 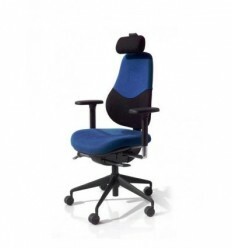 Lumbar support - The chair must provide excellent lumbar support that is adjustable in height to fill the arch in your back and ideally include a lumbar pump to get a perfect match for your back. 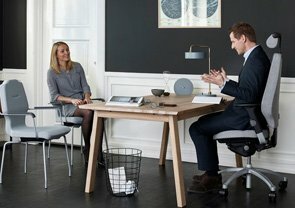 Enable natural movement – Ensuring the user can vary working positions with ease while maintaining good posture is perhaps the most crucial element of the chair. 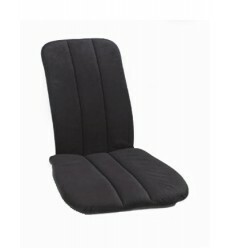 It needs to be adjustable to the size of the user and ensure they are always correctly supported. Ideally when focusing on the computer monitor, your gaze should be focused at the centre of the screen. If it is higher or lower, adjusting the height of the monitor or your chair would ensure that the perfect monitor height is achieved. Finally maintaining a strict sitting to walking ratio would ensure proper circulation and stress relieving thus minimizing back injury and spinal injury probability. 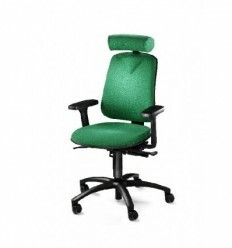 The cardinal rule being to take a to get out of your chair and move around at least every forty minutes to an hour. As it is not always possible to get up and move as much as we should it is very important to vary your sitting working position while maintaining a good posture. This has to be done in conjunction with a chair adapted to your body. The back support must consistently support you while the movement must be adjusted to your weight and body shape to ensure an easy and natural movement. 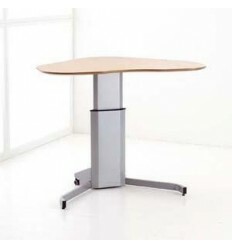 This height adjustable table goes a little lower than most. The frame height adjustment is from 560 to 1190mm. 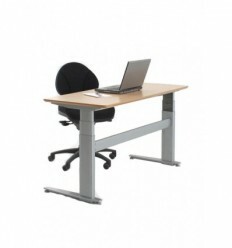 Ideal for multi user environments where you have a wide range of users. Includes a Straight Table Top 1600 x 800mm in Beech. Please tick box below to include Delivery, Assembly and Desk Setup in Ireland.